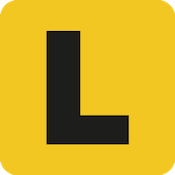 The Learner Permit Knowledge Test is a 32 question multiple-choice test. Each question provides 3 options to choose from and requires you to choose the most correct. The test covers all content in the Road to Solo Driving handbook. The pass mark for the test is 78%. This means you must answer 25 of the 32 questions correctly to pass and be issued with a learner permit. If you get 8 or more questions wrong, you will fail the test. You should use this as a guide when revising the Road to Solo Driving content.